Thanksgiving Shows to Watch This Week! Here are some great Thanksgiving shows to watch this week besides the parade and football. The first is Monumental by Kirk Cameron. You might be able to see all of it on YouTube if you poke around for the parts or you can use Amazon Prime. I didn’t know such a monument to the Pilgrims existed until I watched this! 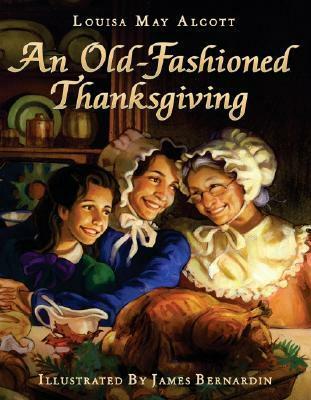 An Old-Fashioned Thanksgiving is loosely based on Louisa May Alcott’s short story. Watch the trailer above. You can rent the full version on YouTube. Read the short story in picture book form to know what the original is like. It’s not nearly as dramatic with an estranged daughter. Your public library probably has a copy and it’s OK to read it after Thanksgiving is over! Then we have The Thanksgiving Promise below, a made for TV show from when I was young. BYUTV has come out with a new Thanksgiving special that will premiere tomorrow on Thanksgiving Day. Here are the details. It will broadcast at 6 PM MT. Sounds like it’s also for Christmas too. Of course there’s the classic Charlie Brown’s Thanksgiving, over here. Make it a tradition if you haven’t already! And last but not least The Mouse on the Mayflower, above, a blast from my past. I love the old somewhat cheesy holiday cartoons for kids.